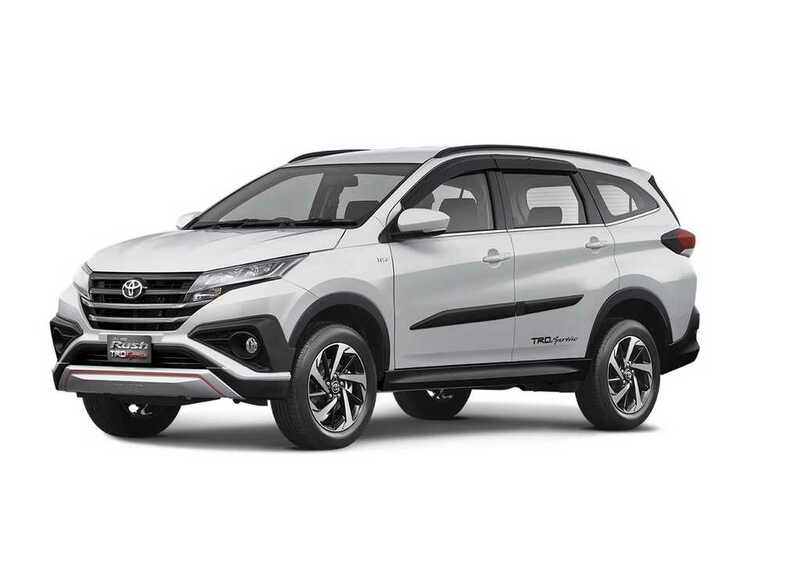 Toyota officially revealed second generation of Rush last year in Indonesia and the company is going to launch the new model in Pakistan later this month followed by Latin American launch in September. The Japanese manufacturer is going to import Rush from Indonesia and the first batch will arrive next week in Pakistan. The Rush is the production version of FT Concept as front get new LED headlamps, which extend towards black finished grille and the company has given silver finished skid plate. 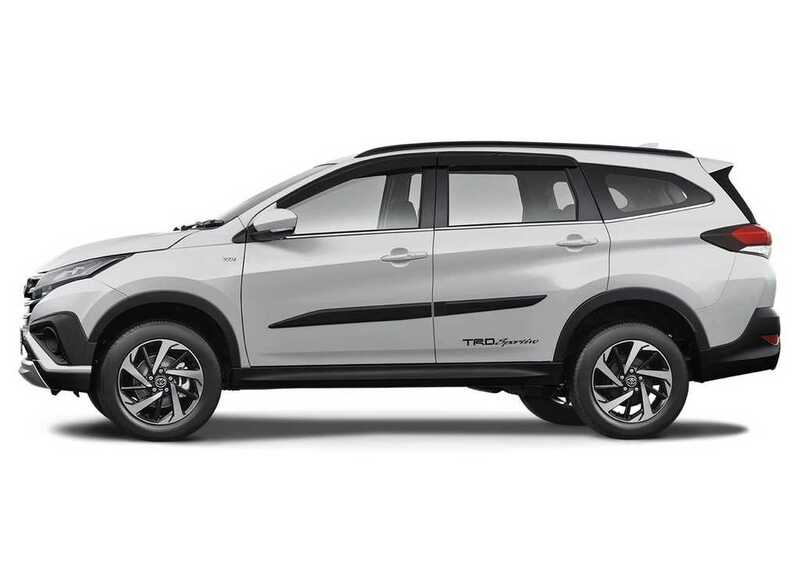 The Rush comes with black plastic cladding across the body and ride height has been increased for SUV look. 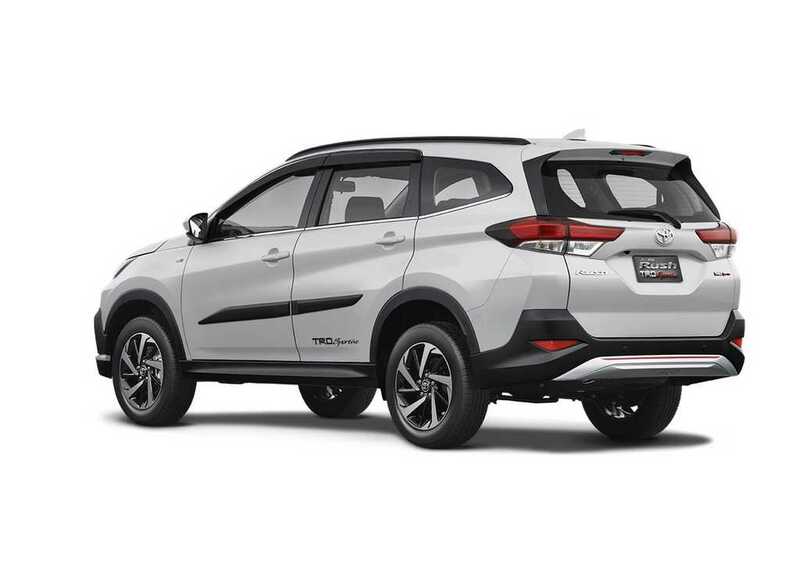 The company is offering TRD Sportivo variant in Indonesia and other markets, which makes the Rush look sporty. The TRD accessories for Rush include sporty front bumper along with skid plates and faux diffuser at rear along with special fog lamp covers. Toyota is yet to confirm whether it will be offered in Pakistan. 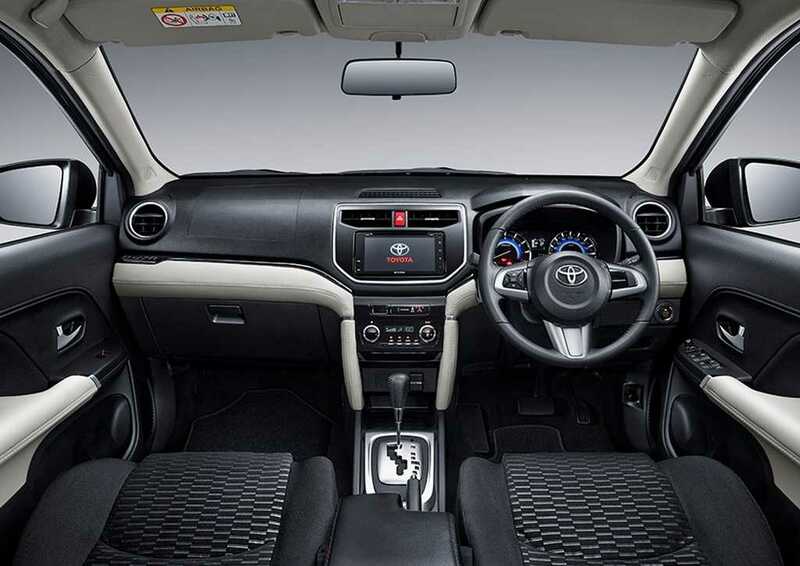 The Rush comes with a new design theme for dashboard as the company has given three spoke multi-function steering wheel and instrument cluster get white and blue back lighting. 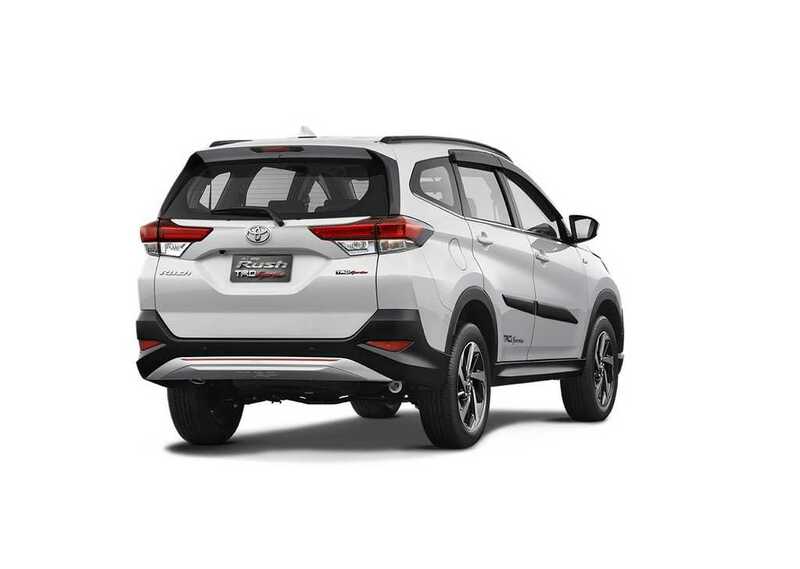 Toyota has increased wheelbase over previous model to improve space inside the cabin and Rush is available in 5 or 7 seat configuration. Toyota has given lots of features for Rush, which includes 7 inch touch screen infotainment system but it misses out on Apple CarPlay and Android Auto, climate control, key less entry, push button start, cruise control, reverse camera with parking sensors, 17 inch alloy wheels and more. The Rush is powered by 1.5 L four cylinder diesel engine with 104 PS of power at 6,000 rpm and 136 Nm of torque at 4,200 rpm. This engine is mated to 5 speed manual and 4 speed automatic gearbox. Toyota is expected to launch Rush in the Indian market by the end of 2019.